Whether you are looking to transform the design of your property exterior or just require replacement gates, Aaron Gates & Railings can always meet your needs. Our team provide bespoke gates and railings in Slough for all commercial and domestic properties, with a range of design choices available for every client. All our bespoke gates and railings are available at competitive prices and you will always be given a personal service regardless of what services you require. The railings and gates we install can always have matching designs and will be sized and styled directly to your specification. With our team manufacturing, supplying and installing our products, you are given a comprehensive service. With our team manufacturing all gates, fencing and railings, you can depend on us for every aspect of the project. You will always receive a consultation and advice regarding the bespoke gates and railings in Slough that we have available. This will ensure you always choose the perfect style for your needs, as well as discussing any specifications regarding the size of the detailed designs we can create for every product. Our team are fully trained and qualified, allowing us to cut and craft any steel into the exact design you would like. We can provide gates for any fit, whether you would just like small installations or require large gates for a driveway. All our gates and railings are supplied and manufactured by our team, assuring you of the highest quality for all products and that all installations will be completed with the gates and railings in fantastic condition. With our design service also available, we can work from your design, someone else’s design or a photo to ensure the design criteria you would like is always met. There is no limit to the designs we can create, with a number of colour schemes and intricate details that can be incorporated into your bespoke gates and railings. You will always be given a personal service as we aim for every property to have a unique design and a property exterior that you love. Slough is a large town located in the county of Berkshire in England. With a population of over 161,000, Slough is the second largest town in the county of Berkshire and an area our team are always happy to work in. With Aaron Gates & Railings being located very close to the Slough area, we can always provide a quick response to clients here, organising a suitable time for you to discuss design, before making quick installations. Slough is a popular area among both locals and visitors and is also a fantastic place for our team to work as we look to transform all domestic and commercial properties. There are also many points of interest in Slough and the local area. Some of the most famous landmarks and attractions include Windsor Castle, Langley Country Park, Black Park, St. George’s Chapel and Theatre Royal Windsor. There are many other attractions also located here and the surrounding areas. 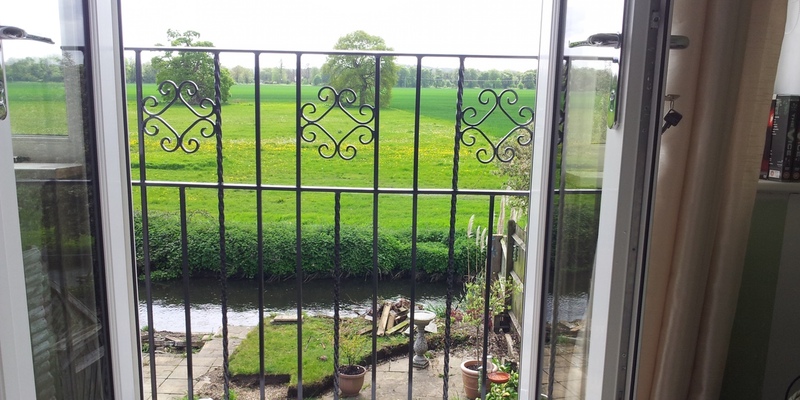 Since being established over 25 years ago, Aaron Gates & Railings have always worked throughout the Slough area, giving all clients here a personal service and quick response to all enquiries. Our aim is to be the first choice for all bespoke gates and railings in Slough, whether you require supply, design or installation. You will always be left fully satisfied by Aaron Gates & Railings, no matter what products you require. 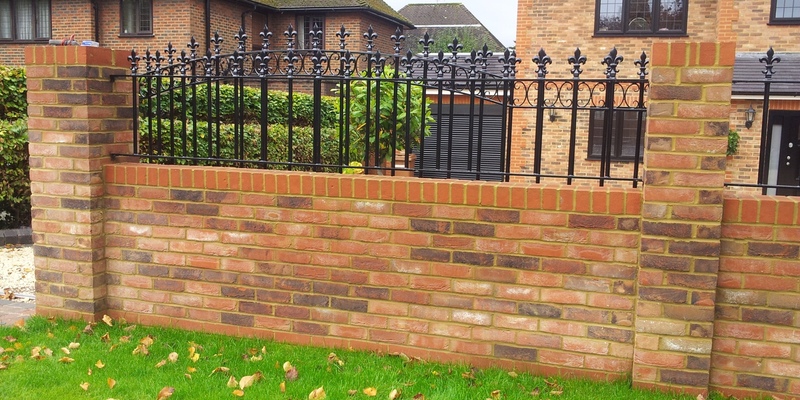 With over 25 years of experience in the industry designing and installing bespoke gates and railings in Slough, our team will always offer the highest standard of service. With our designs being completely tailored to your specifications and design needs, you can rely on our team for a personal service where your expectations will always be met. Bespoke gates and railings are available for domestic, commercial and industrial properties, allowing us to handle work of any size. With a number of gate and railing styles also available, this can be installed anywhere on your property. 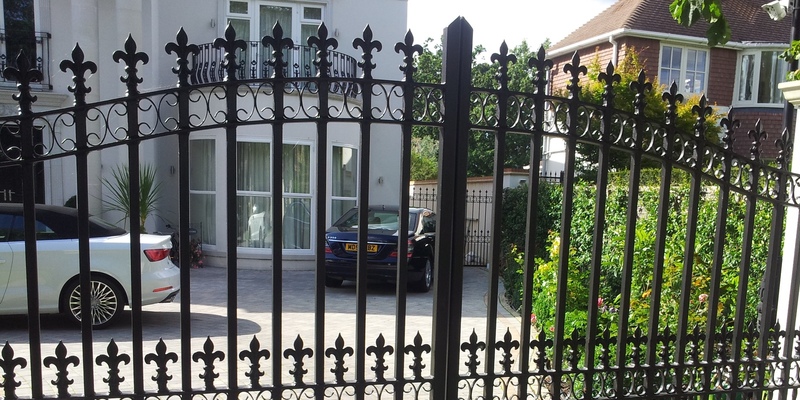 We have built a fantastic reputation since being established and offer an exceptional standard of professionalism to ensure the quality of all gates and railings leaves you fully satisfied. Having a friendly and reliable team for all manufacturing and installation and with our customer-focused approach, we always want to fulfil your needs with our services. To book our design services or install bespoke gates and railings in Slough, do not hesitate to contact Aaron Gates & Railings today. We will find a suitable time to discuss your design needs, before making fast installation so we never disrupt your daily routines. Call us today on 01895 447 907 or fill in our contact form to make an enquiry.